Hint: The default crew is less than ideal. The default version of Overwatch’s latest and greatest game mode, Uprising, sends Mercy, Tracer, Reinhardt, and Torbjörn to King’s Row to root out the omnic terrorist organization known as Null Sector — but the most efficient way to do things is with a custom set of four heroes. In the canon version of Uprising, Strike Commander Morrison provides intel and support from the coms. Soldier: 76 has great appeal due to his versatility, survivability, damage output, and self-sufficiency. His primary Heavy Pulse Rifle and Helix Rockets can take down omnics rapidly, and his area-of-effect heal — Biotic Field — assists grouped-up teammates. The only danger occurs if Soldier is without some sort of shielding, when he can be eliminated fairly quickly. It’s best to fire from behind Reinhardt and Orisa’s shields while he drops Biotic Fields constantly. His ultimate ability, Tactical Visor, can also be used to great effect, wiping out large numbers of smaller enemies. This setup allows maximum shielding from Reinhardt and Orisa to compensate for the lesser heals from Ana while also allowing you to combo her Nano Boost with Tactical Visor. An alternate setup might be Bastion, Orisa, and Mercy if you want more of an emphasis on offense. Go Bastion, Orisa, and Ana if you’re feeling particularly dangerous. 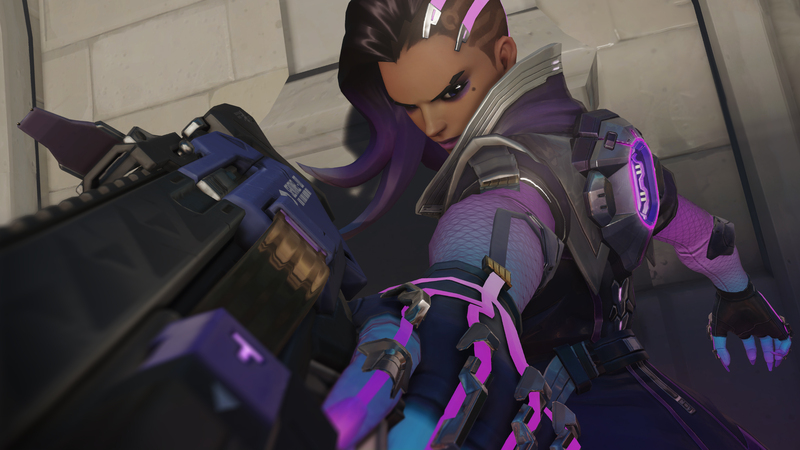 Sombra is tactically one of the absolute best choices you can make in Uprising. Sombra’s in the unique position where not many players can effectively use her, so she gets a bad rap in the Overwatch meta. But in Uprising, Sombra truly shines. Her main ability, Hack, completely disables any individual enemy and her ultimate, EMP, can shut down large groups of them. Translocator and Stealth help out with mobility and survivability. Her main Machine Pistol weapon has shorter range and less damage output than some other DPS characters, but her utility against the omnics is unparalleled. She should rove around and flank enemies without wandering too far, focusing above all on Hacking larger enemies, especially Bastions. Bastion is pretty necessary for damage output in this lineup, and with Zenyatta as healer, Sombra can rove with an Orb of Harmony attached. Alternatively, if Mercy is the healer, she can use Guardian Angel to swoop in and help as needed with minimal risk. 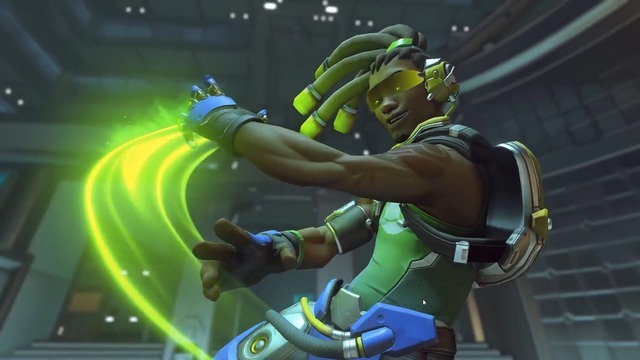 If it’s Lúcio, he can also use Speed Boost to help Sombra get out of trouble in a pinch. This overall team comp is a bit risky, but if you’re looking for something more exciting, this is the way to go. No matter who Sombra is accompanied by, her duties are to act alone, harassing the hordes of enemies. Enemy Bastions are the greatest nuisance in Uprising. Why not fight fire with fire? 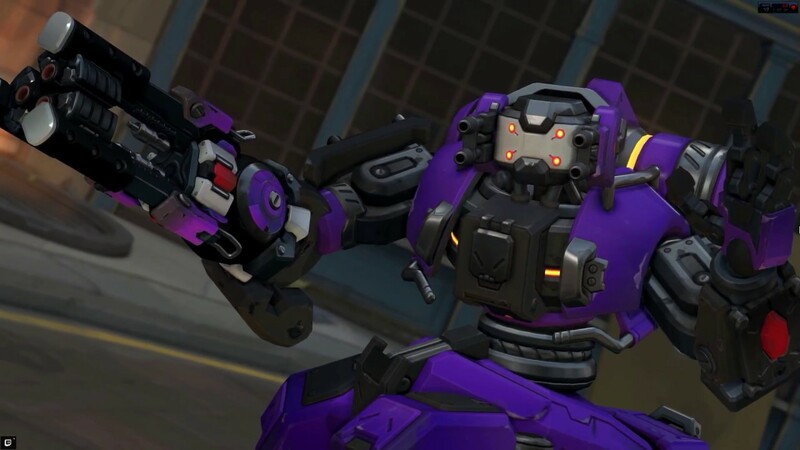 If there’s any character that is nigh essential to any team build in Uprising, it’s going to Bastion. Whether or not you have adequate additional shielding, his damage output while in Sentry mode is worth it, and even Recon mode does a decent job of shredding enemy mechs. Self-Repair is also invariably useful. Bastions need to be careful in Uprising, however, of wandering too far from easily defensible positions when activating his ultimate Tank configuration, because hordes of enemies can rip him to shreds fairly quickly. It’s best to stay behind shields and fire off the long-range cannon from safety. Bastion functions best when reaping the benefits from Mercy’s damage boost, and occasionally Orisa’s ultimate, while always being protected by Orisa’s barrier. Coordinating when Orisa uses Halt! helps Bastion to burn through groups of mechs quickly. Few things beat the moments when Bastion and Orisa concentrate fire and absolutely demolish even the largest enemies in Uprising. Bastion, Mercy, and Orisa make perhaps the best core trio for Uprising, so the fourth character is just icing on the cake. On the highest difficulties, Reinhardt should be the choice for added team survivability, but Torbjörn’s turrets can hang out right next to Bastion behind barriers while also offering up a bit more DPS and armor packs for the team. Symmetra is another fun but less effective alternative for that fourth spot. Her turrets can help protect Bastion, and her ultimate ability, Shield Barrier, can help boost his defense. Torbjörn, aka Chief Engineer Lindholm, has never been more useful. Defensive characters with high damage output potential are the name of the game in Uprising. Torbjörn’s short- to medium-range Rivet Gun is ideally suited for fighting hordes of omnics, but his focus should be on placing, upgrading, and maintaining his turret behind your team’s barriers. His secondary focus should be on collecting Scrap and deploying Armor Packs directly onto his allies, especially the weaker ones. Any spare moments should be spent attacking enemy robots while staying behind shields. He should be the one to focus on Splicers with his shorter-range, shotgun-type primary weapon. What’s essential with Torbjörn is keeping his turret safe, so you’ll want as much in the way of shielding as possible, which means Reinhardt and/or Orisa. If you have to choose between the two, Reinhardt is perhaps the safest option. If you do wind up including a Bastion, you’re always better off having your healer be a Mercy. Combining Ana’s Nano Boost with Torbjörn’s Molten Core is a fun combo to pursue if that’s your healer, but if you do go that route, you might want to sub out Bastion for Orisa for the added team defense. You'll face several Orisas in Uprising with this Null Sector skin. Orisa is one of the MVPs in Uprising by far, and it’s in this game mode that Blizzard inches closer towards its goal of making Reinhardt less essential as the only primary tank in the game’s meta. Though Fortify has virtually no use here, Orisa’s Halt! ability sees great use grouping up enemies, pulling an enemy Bastion out of Sentry mode, or pulling back one of the exploding orbs. The flexibility of her Protective Barrier is a delight, and carefully deploying it in ideal positions should be her top focus. She should use her ultimate as often as possible and always put it behind a Barrier. Other than that, she should be on the offensive, focusing fire with Bastion as much as possible to destroy larger targets. Though the above suggestion is the debatable ideal, Orisa’s versatility and flexibility allow her to fit nicely into any team comp. Doubling-down on turret-like damage by having Orisa and Bastion together tends to work rather well. Orisa can solo tank if accompanied by a skilled healer — basically just Mercy — but she’s arguably even better when sharing tanking duties with a Reinhardt or D.Va (please no Winstons or Roadhogs!). Only if there are two tanks could a solid Lúcio or even skilled Ana or Zenyatta sub in for Mercy. 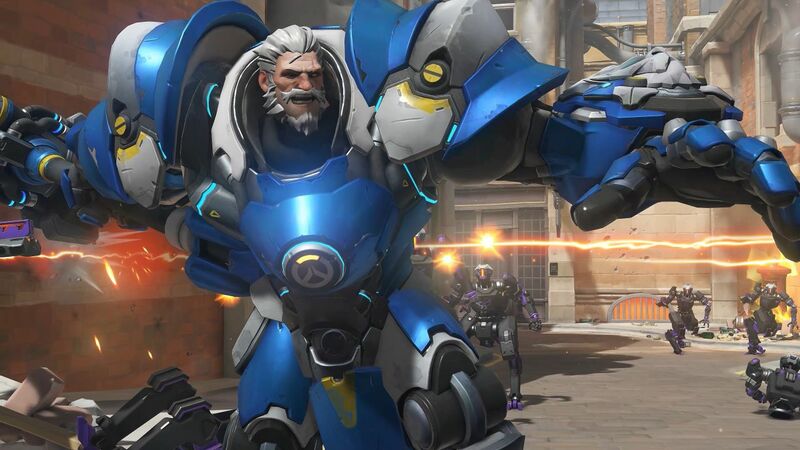 Will Reinhardt always be the 'Overwatch' meta's go-to tank? Long live the king. Reinhardt is nearly unparalleled when it comes to defense in Overwatch. If you don’t have an Orisa in your Uprising lineup, then it’s basically essential that you have a Reinhardt. If he’s not actively shielding with Barrier Field, Reinhardt should be hitting things. Rocket Hammer can hit multiple enemies at once but only at close ranges. Charge sees great use disabling larger enemies, especially for pinning enemy Bastions. Fire Strike is just sort of there as an added long-range attack, but his ultimate, Earthshatter, gets a lot of use for knocking down huge groups of enemies and disabling the more dangerous ones. Reinhardt can and should be the foundation around which a number of team comps are built. He can easily solo tank with any combination of Soldier: 76/Sombra, Bastion/Torbjörn, Mercy/Lúcio/Zenyatta to get great results — but he can function equally as well if supplemented by Orisa or D.Va. The above team comp is the safest and generally most effective option you have. Combat Medic Ziegler is the hard-to-beat choice for healer in Uprising. To many, Mercy is the obvious and only choice for Healer in Uprising. The manual revive mechanic is a fresh addition to the game mode, but Mercy can revive her entire team instantly — and at medium range — with her ultimate ability, Resurrect. While useful in other game modes, it’s positively game-changing in Uprising. Her Caduceus Staff healing is also the most effective form of healing in the game, and its blue beam damage boost form can do wonders for characters like Bastion, Soldier: 76, or Orisa. She can be effective with teams that stick close to defensible positions, but her Guardian Angel mobility can also help with rovers like Sombra, Reaper, or Tracer. It’s hard to pass up the synergy with Bastion if you do go with Mercy, as few things can kill enemies faster than a damage-boosted Bastion in Sentry mode. Orisa and Soldier: 76 can also benefit greatly from the damage boost, and between the two of them, they’ve got defense and offense solidly covered. The fact that Bastion and Soldier: 76 have self-healing capabilities just makes it that much easier for Orisa to solo tank. Though Mercy tends to be the best healer for the job, Lúcio can also get the job done. Most teams will prefer Mercy as the go-to healer over Lúcio, mainly just because, despite being capable of healing multiple allies at once, Lúcio’s healing output is typically insufficient unless allies have a large health pool. That being said, his ultimate, Sound Barrier, is really handy in a pinch to boost team defenses. Speed Boost can also help teammates maneuver out of difficult spots. But best of all, Soundwave can knock enemies back, which is extremely useful against Splicers and other enemies that assault the payload in the second half of the Uprising mission. Healing as much as possible should always be Lúcio’s approach, followed by keeping enemies away from the payload at all costs. Because of Lúcio’s healing output, it’s pretty essential that he work with allies who have larger health pools and/or self-healing to compensate. Bastion, Orisa, and Reinhardt each fit that bill, and doubling up with Orisa and Reinhardt’s barriers can only help increase the team’s survivability. These are just what we recommend as the best of the best for Uprising, but it’s certainly possible to make characters like Reaper, Zenyatta, Junkrat, or Roadhog work. Just please, never use Widowmaker, Hanzo, or Winston. Overwatch’s Uprising event is currently live and set to conclude on May 1.